Simple and delicate chain, Clad in slightly burnt skin. I scraped off all the bells and whistles, Beads of small pebbly will complement the femininity. Even in the Arrange to meet with your hand-held pendant top Even if you put up as it is Enjoy in 2WAY. In town use, and dinner at the resort. . Gold filled (Gold Filled) The Material (brass) to those subjected to gold crimping of 14 gold. Weight of gold is called the Gold filled those of one or more of the 20 minutes of the total weight. Appearance is close to the gold, different shine to the plating of accessories. Than the plating it has been easy to handle and durable. Order to enjoy a long and shine, After use, we recommend that you wipe gently with a dry cloth. 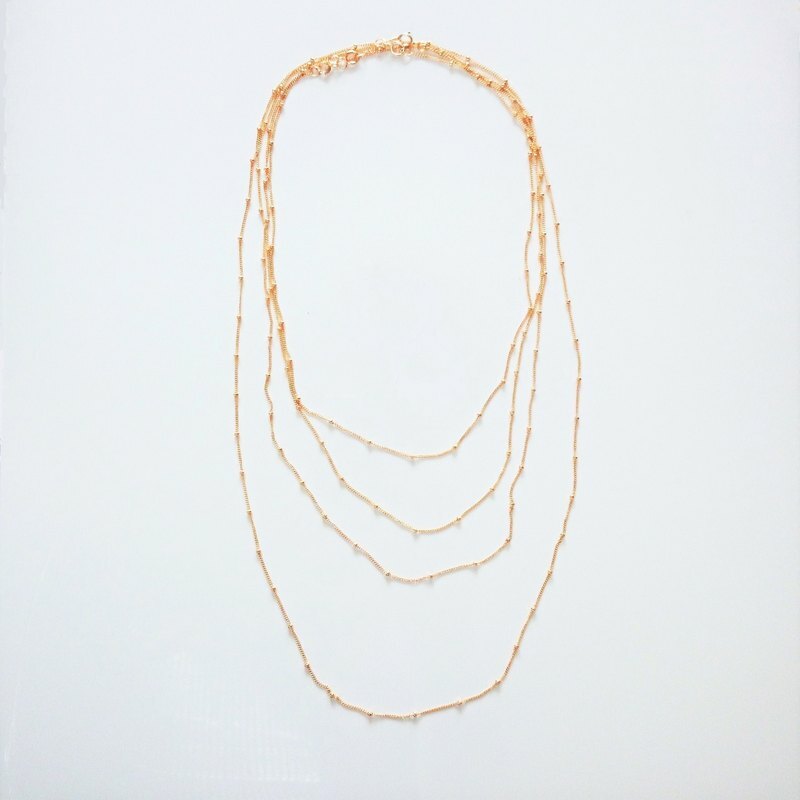 Material / 14kgf (Gold) Total length / 40cm (1-th type from the inner side of the image) Chain width / about 1.2mm Pulling eye / about 5mm Size: total length / 40cm (1-th type from the inner side of the image) ※ The respective sizes are an aim. ※ The atmosphere of the color depends on the environment of the monitor that you use it, and it's sometimes seen. ※ When it's pulled hard for a handicraft, it breaks. Attentively, please handle it gently. ※ The difference in shipping charge is made the price of the packing material. Please understand. A producing center / production method A producing center: Japan Handmade.